Greetings everyone from the blistering hot Midwest. It’s been a tad on the bake side as of late – not so much the actual temps since those have been ranging in the high 80’s to low 90’s, but the feels like temperature has been a test for the internal thermostat. Ever since my heat stroke episode (link here), my body has had the nasty habit of panicking whenever it thinks it is going to overheat. It is kind of intriguing in the sense I’ll be running along in one of my training runs and all of a sudden I’ll go from expected levels of sweat to totally soaked. The doctors warned me about this happening and I’ve been trying hard to get it reset. The only way to do that is to keep at it – it is definitely better in the sense it is taking longer at higher temps now before the panic sets in (for the last couple of runs the feels like temp has been tipping the hundred mark). The Bix 7 race is always a good test of your cooling mechanics since that is traditionally as hot as it gets for the running circuit. A week to go before that race so fingers are crossed. In the meantime, I’m sitting here in the air conditioning at a dog show getting a few posts out of the way. This ball of fur was just hanging out under some trees enjoying a hot Nevada day at the Henderson Bird Viewing Preserve. Taking it all in, clearly too young and carefree to realize the dangers it will face in the coming years from all the predators that lurk about the area. In case you do not know your bunnies (and not talking about the ones on the top shelf of your local magazine store), this is a young Jackrabbit. They have actually been featured previously on the blog because… say it with me – they are just too damn cute to ignore (link here). 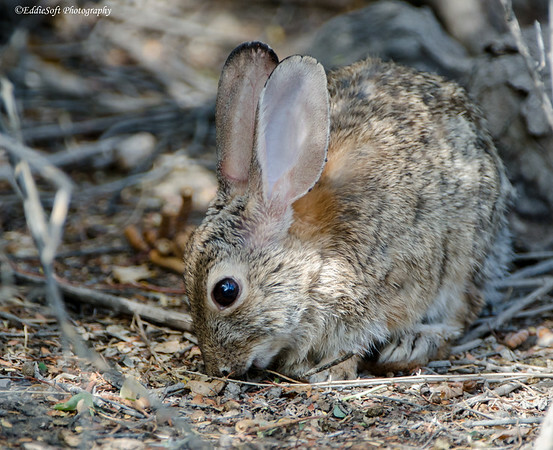 Pretty sure it is the long ears, or fluffy tail or maybe the large round eyes or that button nose … or more likely the fact that all those characteristics reside on a single creature that make them irresistible. 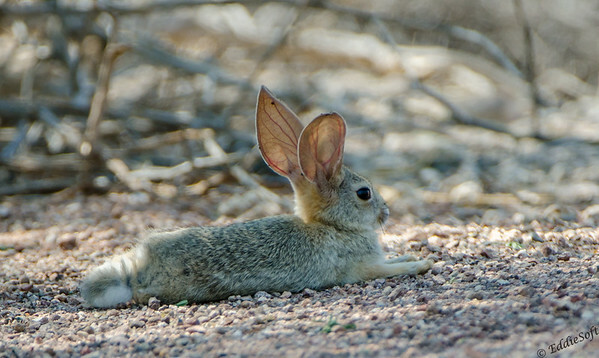 Unlike most animals, these Jackrabbits are not just adorable when they are babies – they still tug at the hearts as the years add up. My apologies, this post was suppose to go out yesterday – you know, the whole Valentine’s Day and the “Cute” theme. Unfortunately, some unplanned issues came up that required me to spend extra time on the phone discussing flight schedules from Florida. For the record, I can’t believe the price of air travel these days. So basically you get to be treated as public enemy #1 and have the pleasure of paying a premium for it. (To keep my spirits up during air travel I mentally replay Tracy Morgan’s SNL skit on profiling.) Figured it would be prudent to get this post out while there was some free time. This set of pictures is from our Yellowstone vacation (assuming you were not surprised about that) but they were not actually taken at the park. Instead, they were shot at a stop off on our way there and another one on our way back. Need to make the most of the photo opportunities when you are heading out West. Since the VDay theme doesn’t really apply anymore, let’s start with the “Pissed”. Spearfish south Dakota is a favorite stopping point for us when we are heading to Yellowstone. Beyond the cool name, this small little town has some gorgeous waterfalls in relatively easy walking distance from parking lots. Linda’s nature photography specialty are the “silks” and she once again produced some very nice shots – guessing she will be putting these head to head with my wildlife shots during the competition season. While she is off playing with the shutter speeds, I generally entertain myself by stalking the local wildlife. Well, to be honest the word stalking is better served by “annoying the living crap out them” in this case. Imagine the insane racket reserved for raccoons protecting it’s young packaged up in a large golden brown hamster with a long fuzzy tale. 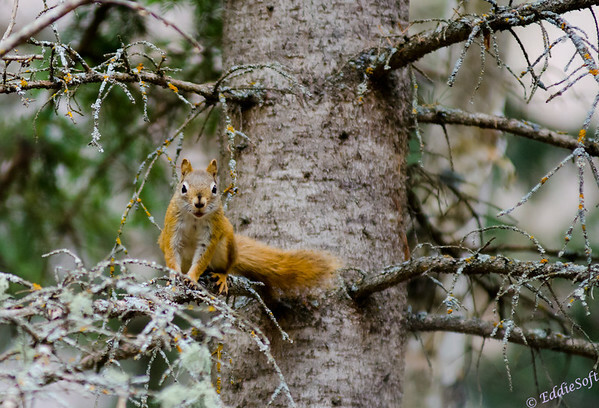 Rather than simply state displeasure and carry on with the comfy life of a forest rat, this squirrel would come running at me (in full rant of course) and take up a defiant posture in the nearest tree. 10 seconds later it would scamper off into the trees only to repeat the cycle as I continued walking along a trail. Thanks to confidence from earning 2nd degree black belts in multiple martial arts discipline I stood my ground against this upset furball.